British budget airline easyJet has unveiled a new app feature allowing customers to instantly book flights using just a photo without them even needing to know the destination. In a first for the travel industry, the state-of-the-art technology allows those browsing Instagram to simply take screengrabs of amazing, inspiring photos they see and then share with, or upload to, the easyJet app. Look&Book then uses advanced image recognition techniques to identify the location to match the photo to easyJet’s 1,000-strong destinations on offer throughout Europe. 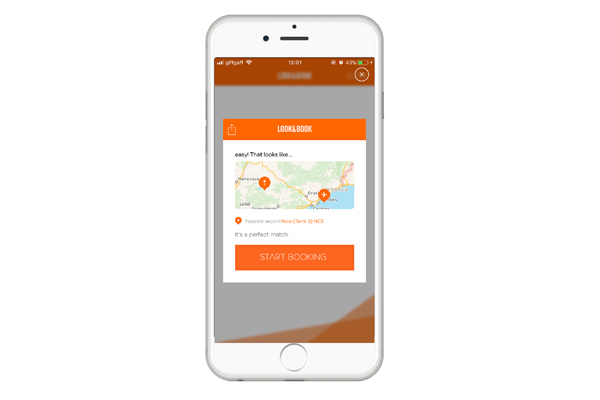 The new app feature not only recognises the destination, but also suggests the nearest airport and pre-populates the booking form with those details. The innovative image-recognition technology has never been applied in this way but easyJet has now created the technology to give passengers an additional way to book - an Instagram inspired trip, in just a few taps. Created by creative agency VCCP in partnership with Travelport Digital, a leader in digital travel solutions, Look&Book is supported by a social and DOOH campaign which will include a launch film. The easyJet app is currently available in English language only. David Masterman, creative director at VCCP, added: “We’ve all seen places on Instagram and wished we could just be there. The beauty of Look&Book is how easily it makes those daydreams become reality."